Car prices are beginning what is predicted to be a prolonged upward climb in the wake of the Japan earthquake, tsunami and nuclear crisis. Factory shutdowns in Japan’s auto industry are disrupting the supply of Japanese-built cars and components for American cars. At the same time, demand for fuel-efficient vehicles is rising and car shoppers are being advised to buy now before discounts go away and premiums kick in. The era of generous discounts and incentives at U.S. auto dealerships is ending, according to automotive industry experts. The Japan earthquake, tsunami and nuclear crisis is severely tightening supply for parts used to build American cars, as well as certain models built only in Japan. Car prices are already rising and the trend is expected to continue for some time. For some cars, rising costs will be small and incremental as discounts go away. For other fuel-efficient vehicles that are becoming scarce due to their popularity, cost increases will be abrupt and buyers can expect to pay a premium. In addition to more expensive Japanese brands, prices for successful new U.S. vehicles and Korean compacts are expected to rise as cars like the Toyota Prius and Honda Fit become harder to find. Rising gas prices had already started inflating prices for fuel-efficient cars before the Japan earthquake and subsequent disasters. Now that the U.S. and other countries are waging war in Libya, gas prices are expected to rise even more. U.S. car buyers are already making a run on cars made only in Japan such as the Toyota Prius, Honda Fit and Honda Civic hybrid. According to TrueCar.com, the current average discount of $1,020 for a Honda Civic will shrink to about $470 by May 1. 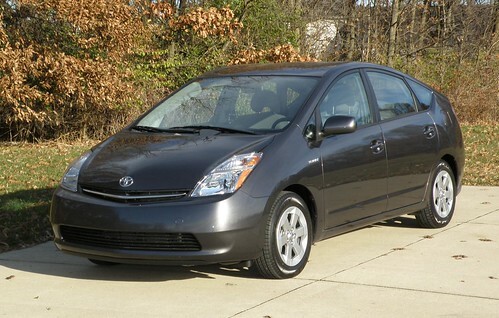 The average discount of $700 on a Toyota Prius is expected to become an $800 premium. Other fuel-efficient cars on the U.S. market only in Japan include the Toyota Yaris, Honda Insight and CR-Z hybrids, Mazda3 and Nissan Leaf electric car. Car buyers can’t expect dealers to cut a deal on any of the cars mentioned above. However, looming shortages may benefit people who want to get out of a lease early and into a more fuel-efficient vehicle if they act now. This is because auto dealers want after-lease vehicles for the booming used car market. During the recession, the number of trade-ins at dealerships dropped off a cliff. Auto leases during the worst of the downturn were assigned artificially low after-lease values. Now those cars are worth more than the value they were assigned. As a result, the lease holder may have equity toward a new car–enough to even skip the last few payments and come out ahead. Plus, the dealer gets a profitable used car.